Are you fed up with how you feel each day? Would you love to make some simple changes in your day so you can enjoy each week, month and the rest of your life? Do you have a busy life with a family to support, or a relationship to nurture, or a career to build and you are striving for personal growth and just do not seem to be able to handle it without feeling overwhelmed and anxious? Then you are in the right place. Here is a short extract of the live stream....for the full replay or to join weekly free live streams on inner peace to world peace click below. In my live stream, Suzanne Vince and I discussed the keys for energy, better sleep, stronger body, confident Self, to enjoy a better life. The above video is a short snippet from the 75 minute live stream session. You can live the life you were meant to, no matter whether you are 16 years old or 76 years old. How can I ensure a good life? My parent/s are too focused on their work, how can I feel loved and be less stressed? How can I make sure my family is happy even as I focus on my career? How can I find the time to get fit and restore ideal weight? How can I unwind and relax and lower my risk of stress related diseases? How can I sleep better and feel refreshed the next day? How can I stop feeling tired and have energy for work and play? How can I just have time for myself to do the things I love to do? How can I feel fulfilled and valued? How can I feel less depressed and less anxious? How can I feel good even when I am on my own? Too many men and women who are juggling work and personal needs, are feeling more and more overwhelmed each day. If you are feeling stressed, or are contemplating the great juggle, then you will love my weekly support sessions. I'm Dr. Vie and in my live events I've helped thousands of women and men who are struggling with their personal lives. 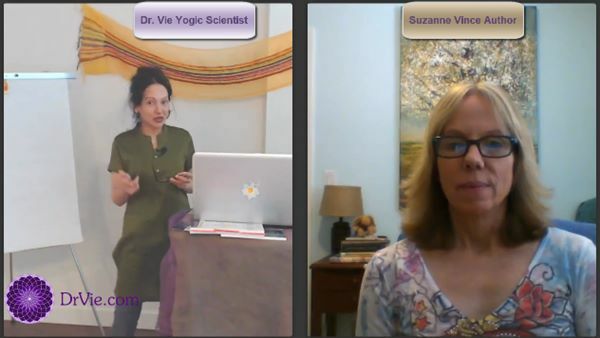 If you would like to access the full replay of this Stress Reduction live stream where Suzanne and I shared the essential keys to reduce stress, feel more confident, experience resilience, and rise above the challenges of family demands, work deadlines, caring for elderly parents, youth issues, returning to the work place and much more, then do join my Academy, where as a member you will benefit from special invites to my monthly live stream events and have access to the replays. YOUR ADVISOR AND GUIDE: Dr. Vie, Natural Foods Pioneer, Yogic Scientist, Mentor, Author, Inspirational Speaker... V is a nomadic globe trotter, and has lived solo in six countries in Europe, North America, Africa & Asia, +23 cities for decades, as she overcame many challenges by using the three steps to living.. She is a nature lover, having hiked in the Himalayas, Swiss Alps and in Africa. 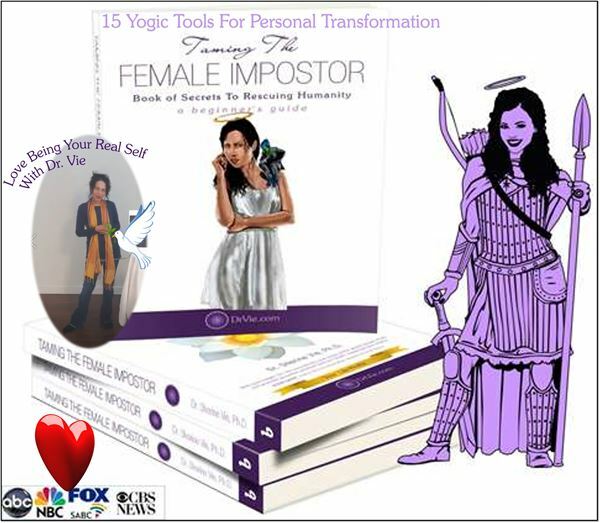 V has inspired tens of thousands of all ages, genders, faiths and cultures with her dynamic interactive healthy living events. At each of her sessions she taps into the energies of her attendees and shares her insights to renewed energy in body and mind...Her passion is to restore compassion and inner bliss to all humans and to restore Mother Earth to her natural power and beauty. V mentors all ages around the globe. 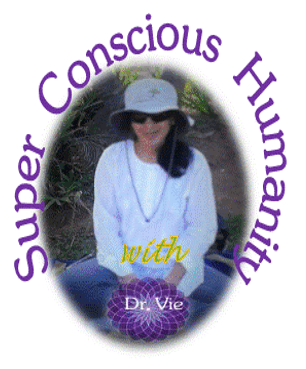 SPECIAL HONORED GUEST in our current event: Suzanne Vince, Fiction Author, Cancer Survivor, Animal Lover, Entrepreneur, Financial Executive and Spiritualist. She grew up in Park Forest, Illinois—twice an All-American City—in a hectic and chaotic but loving family. After graduating from Loyola University of Chicago with a Bachelor’s degree in Business Administration (major in Accounting), she said goodbye to snow shovels and ice scrapers and followed her parents out to California. Sacramento where she currently lives with her husband, step-daughter and their four furry children. She still has her day job—for now—but spends most of her free time writing amazing books. In Dr. Vie's live sessions, you can watch from any mobile device connected to the internet, and interact by asking your questions and getting your answers...and help you find your life balance and the happiness you ​are striving for and deserve. CLICK ﻿THE BUTTON﻿ RIGHT AWAY and do not miss out on my monthly live stream events and replays, monthly group calls, monthly healthy recipes, personal transformation tools, monthly radio replays and access to seminars.